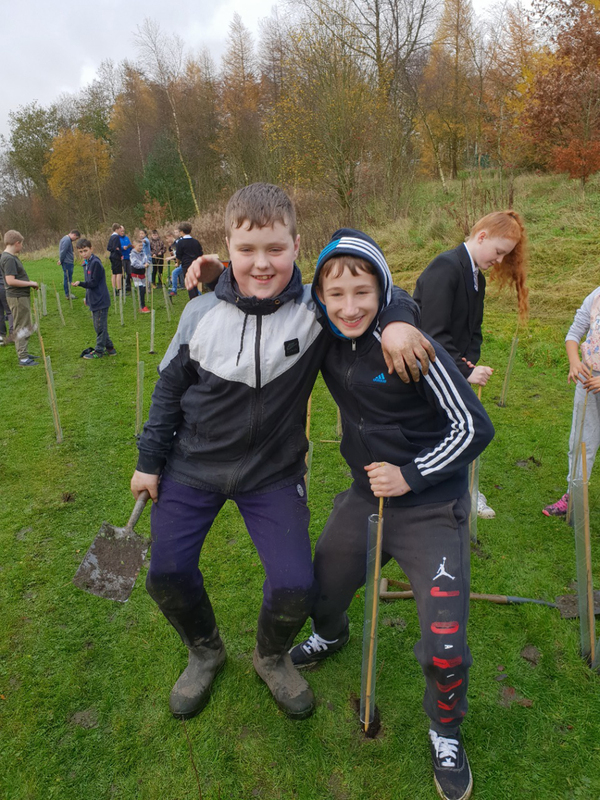 PUPILS helped to plant their future by adding 420 saplings in the school grounds and helping their school to become more environmentally friendly. A team of Year 7and 8 pupils from Fearns planted the trees around the outside of the school’s artificial pitches. Link Group Tutor Mrs Parker said: “This was a wonderful opportunity and one where we all had a lot of fun. “The trees were donated to the school by The Woodlands Trust as part of the Green Tree Schools Award. “Alongside this,we have increased our recycling and are currently encouraging our pupils to reduce CO2 emissions by walking to school, car pooling where possible and turning off all electrical items when not in use. Fearns is now working towards obtaining the silver award, and is asking pupils to take photographs of their favourite outside view in the Valley and send them into school. Longer term the school hopes to go for gold and to achieve that goal they will need stories,videos, art or audio piece about wildlife, woods or the countryside.